Until Dark, formerly known as Project Z, has been announced as one of two projects in the works from Bordeaux-developer Shiro Games, founded by former NCsoft Europe COO Sebastien Vidal and creator of the Haxe programming language Nicolas Cannasse. 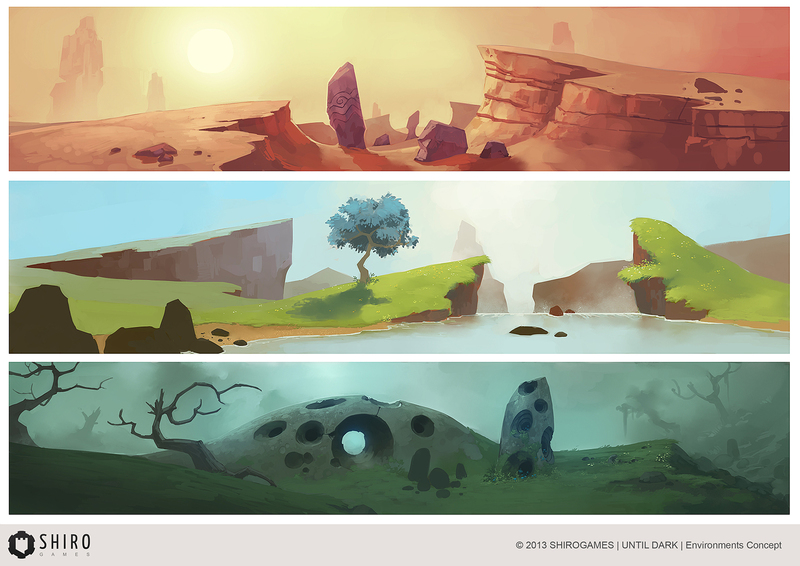 The first bit of environmental concept art has been released for the title, and it is rather lovely. Have look at it below. Until Dark is slated for release in Q2 2104 on PC and tablets. The other project n the works, Evoland HD, is an enhanced version of Ludum Dare competition winner Evoland by Cannasse.